Get an estimate from a pre-screened, licensed, & insured contractor. Talk with a window replacement expert today! Over the last decade, we have installed more than 100,000 windows in over 10,000 homes in Cleveland. 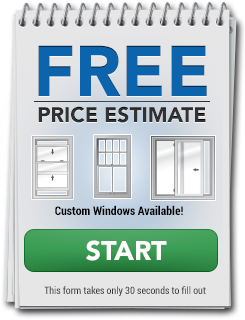 We offer a wide selection of the highest quality, name brand, energy efficient vinyl and wood replacement windows. But we’re much more than our products. Our skilled professionals and proven methods make your experience enjoyable every step of the way! Why Cleveland's Choice For Windows? That's Easy! -And we recycle! We have recycled over 300,000 pounds of glass and aluminum since we started our program in 2009.